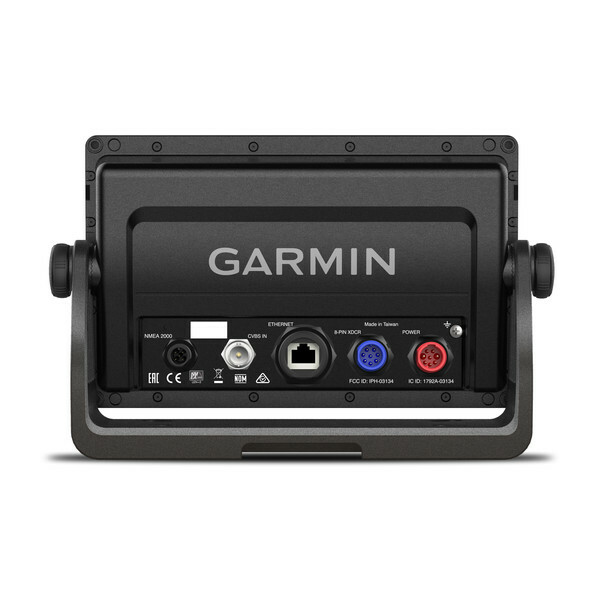 Includes GMR 18 HD+ compact dome radar. 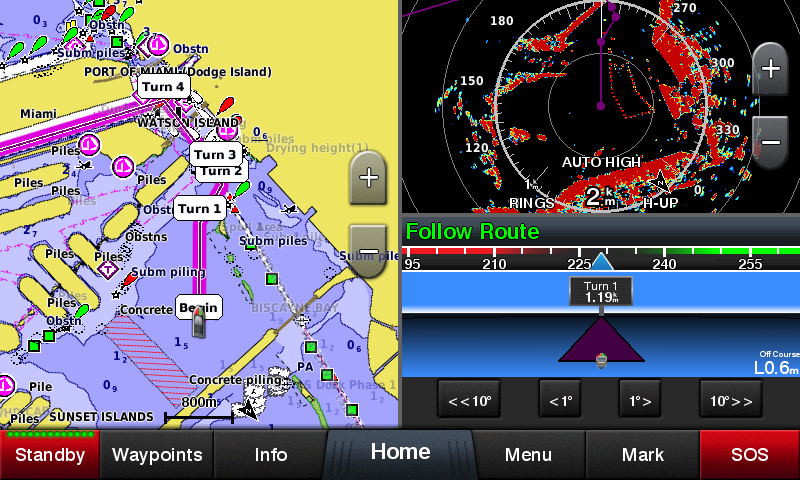 Experience an advanced navigation solution with this compact 7-inch GPSMAP 722xs touchscreen combo. 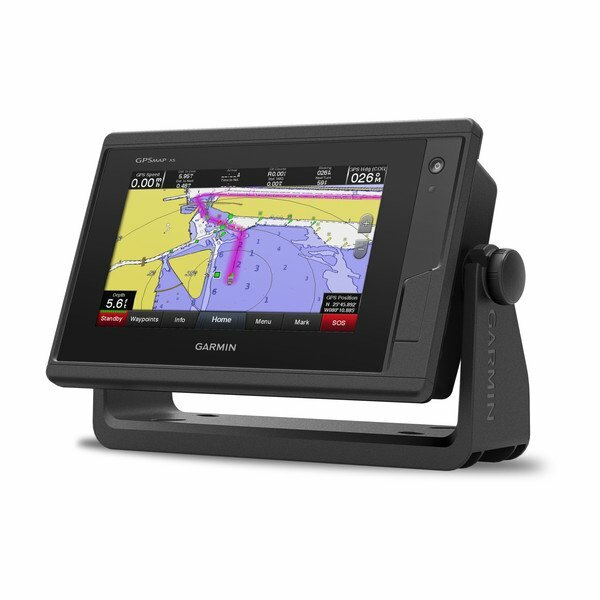 Includes wireless connectivity features for Garmin mobile apps, NMEA 2000 support and Garmin Marine Network capabilities for radar and Panoptix all-seeing sonar, including Panoptix FrontVü collision avoidance sonar. It also has built-in Garmin CHIRP and CHIRP ClearVü sonar (transducer sold separately). 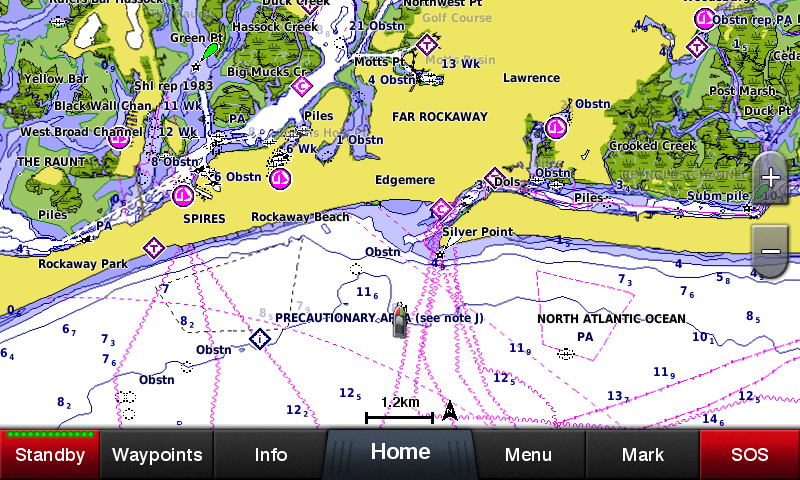 BlueChart g3 coastal charts let you experience unparalleled coverage and brilliant detail when you’re on the water. 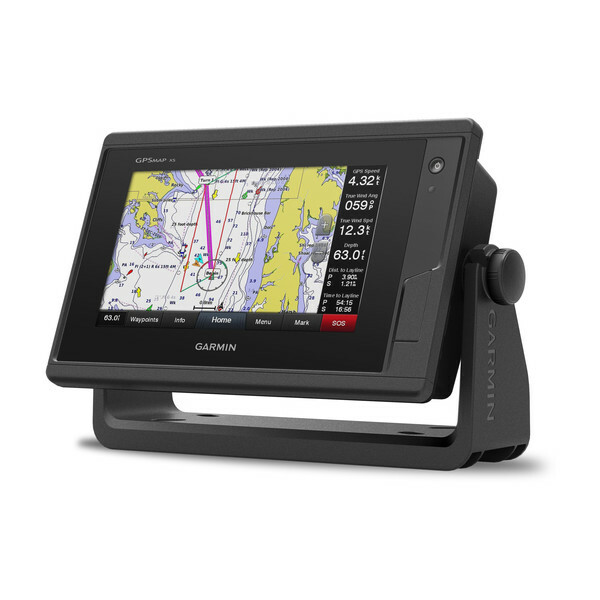 They provide industry-leading coverage and clarity with integrated Garmin and Navionics® content. The charts also use your desired depth and overhead clearance to easily calculate suggested routes with Auto Guidance1 technology. 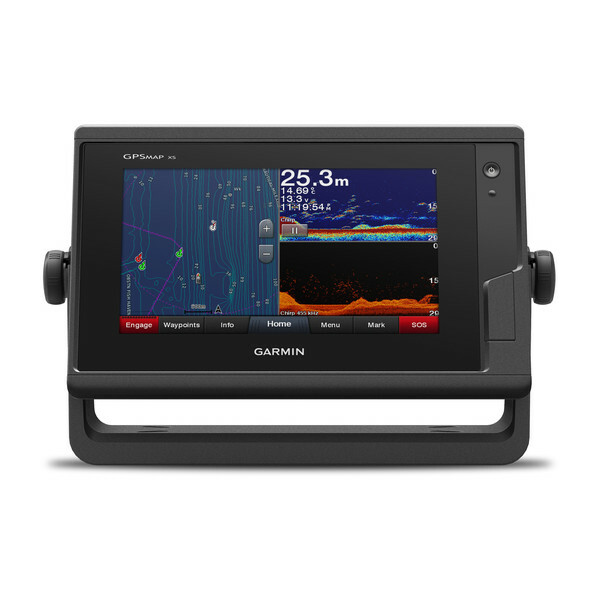 Up to 1 ft contours featured on the fishing charts provide improved detail and a more accurate depiction of the bottom structure. 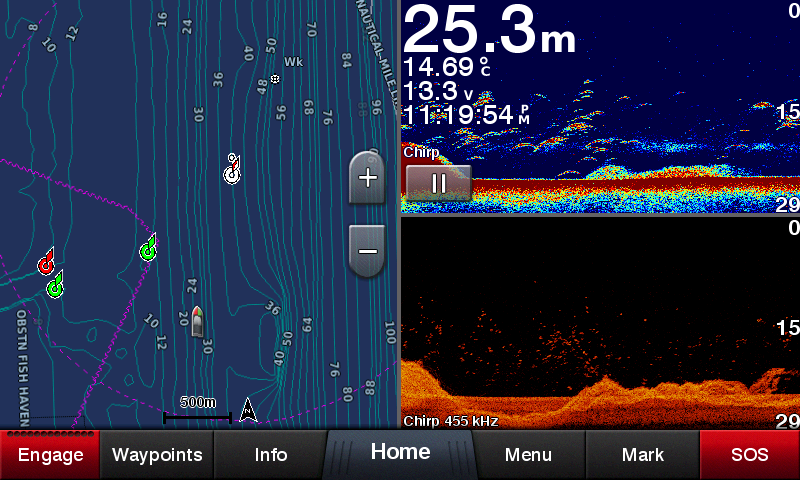 And easy-to-use features such as Depth Range Shading and Shallow Water Shading let you view your target depth and avoid running aground. 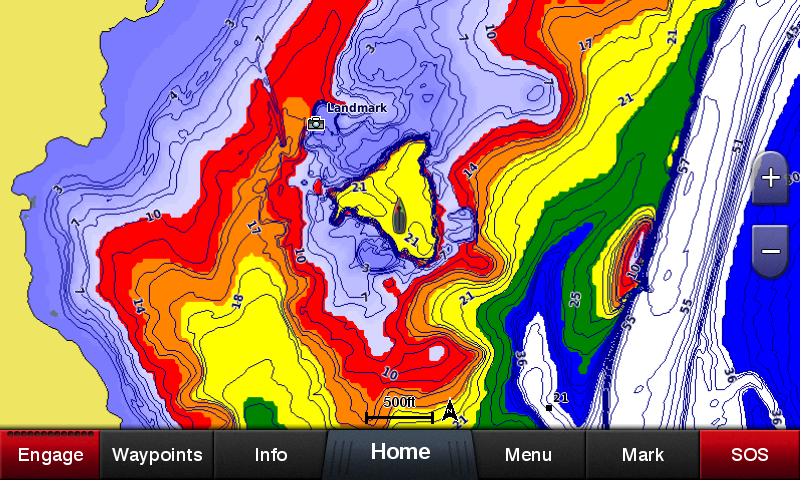 Instantly create personalised HD fishing maps onscreen with 1-foot contours. 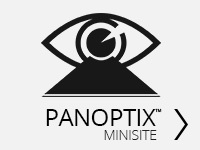 Tailor them to fit your needs. These are your maps — you own them. 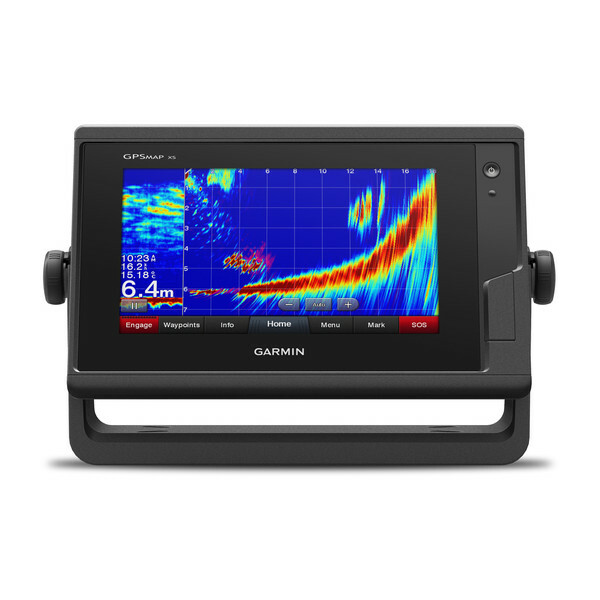 Keep the data to yourself, or share it with the Quickdraw Community on Garmin Connect™. 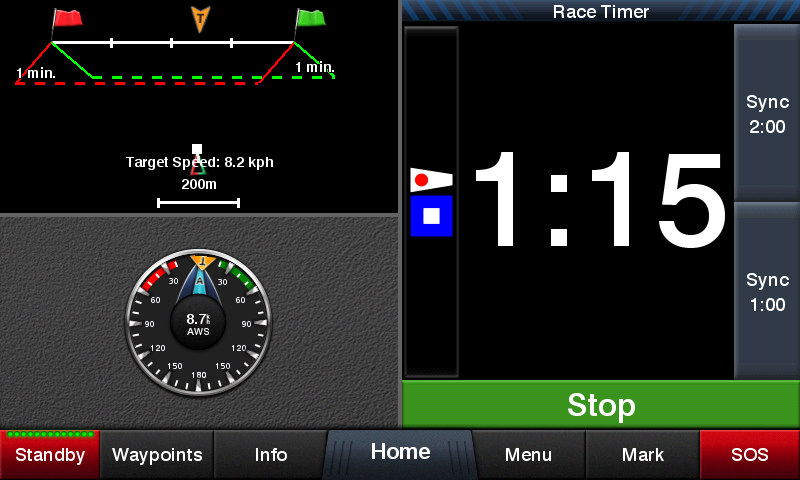 To help you gain a wind-maximising competitive edge, your chartplotter features a pre-race guidance page that shows your virtual starting line along with data fields showing laylines, time to burn before the start and a race timer that can be synchronised across all your networked Garmin GPS products. 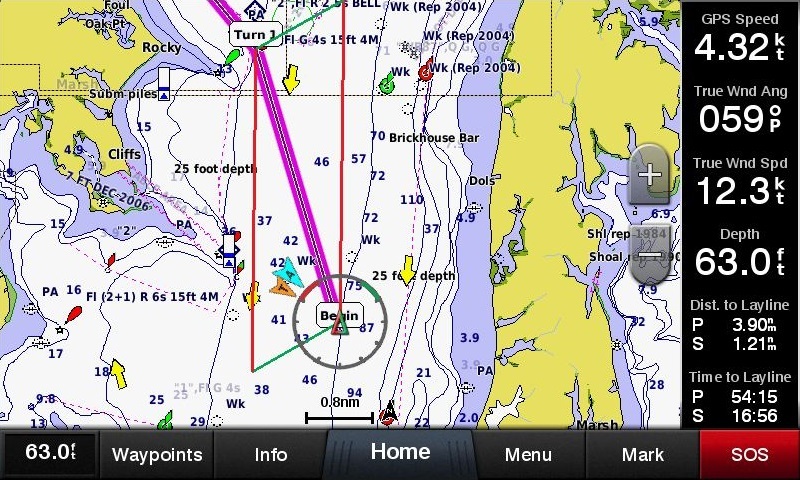 In addition, other supported sailing features include an enhanced wind rose, heading and course-over-ground lines, set and drift, true and apparent wind data and more. 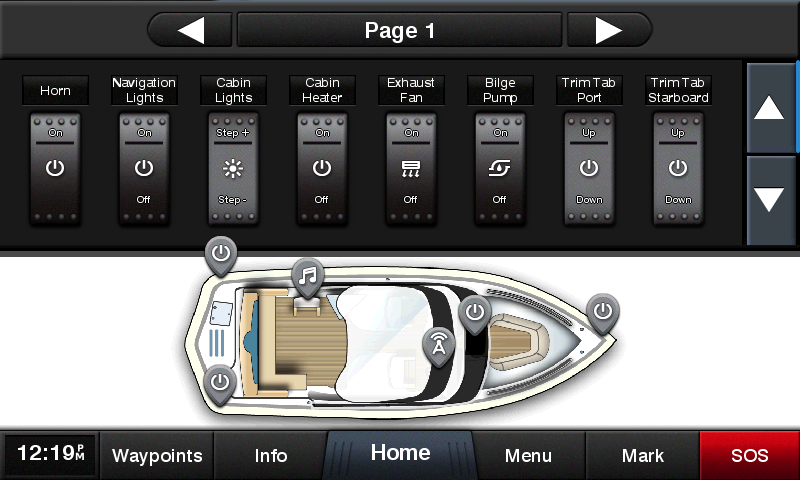 The free all-in-one ActiveCaptain™ app allows you to manage your marine experience from nearly anywhere. 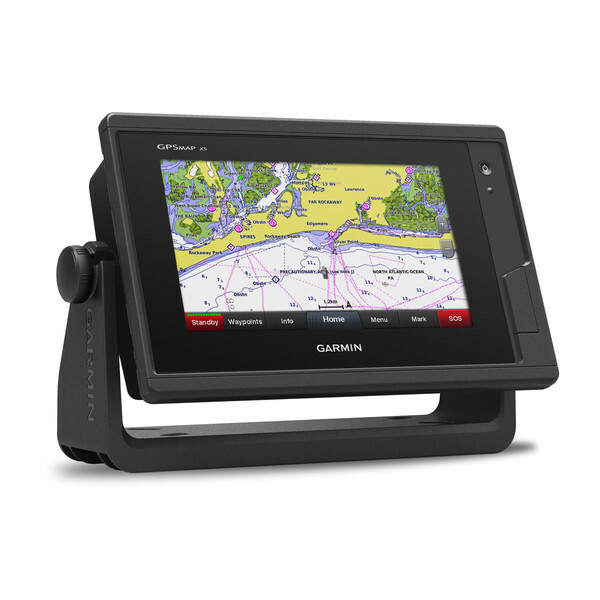 It creates a simple yet powerful connection between your compatible mobile device and your Garmin chartplotter, charts, maps and the boating community. 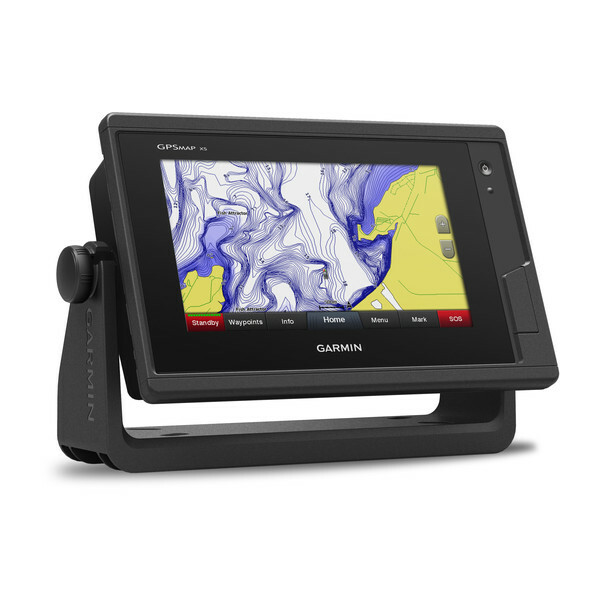 Wherever you are, you’ll have unlimited access to your cartography, the ability to purchase new maps and charts and access to the Garmin Quickdraw™ Contours Community. 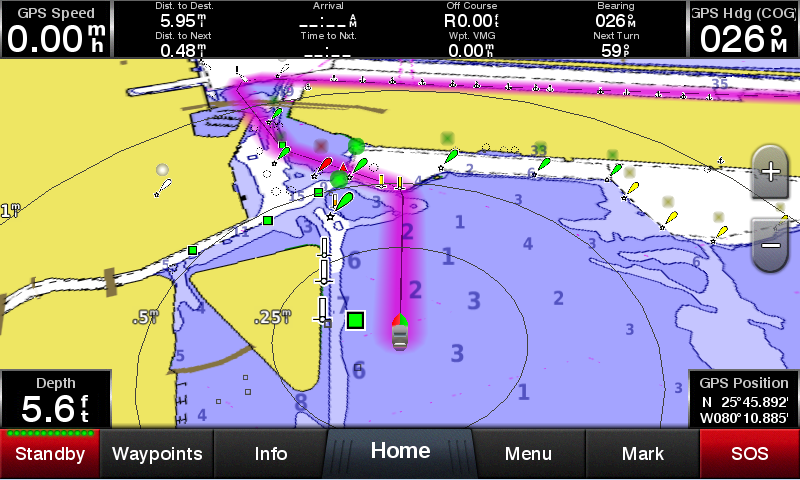 Stay connected with smart notifications on your chartplotter screen. 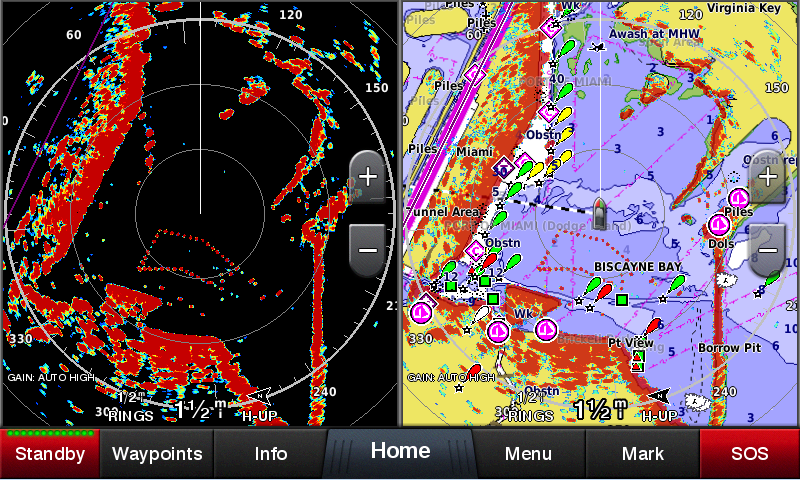 You can also plan a trip or pre-fish a lake, and ActiveCaptain will automatically sync with your chartplotter. Even get notifications for software updates, and decide when to download them on your device.